We all love an easy win, and they don’t get easier than an Instagram giveaway. Running a brand giveaway on the visual social media platform boosts traffic, increases your follower count, and gives your branding a real shot in the arm. But don’t go in half-cocked. It takes time and effort to create an Insta brand giveaway that delivers. Here’s what you need to know. This statement, or one like it, must be included in the caption of your contest posts. Further to this, you should make your own terms and conditions clear — failure to do so leaves you open to legal issues, so cover all your bases. Increase your social follower count. These are just a few of the options open to you from your giveaway. The goal you choose will vary depending on what stage your business is at in its journey. For example, if you want to increase your SEO, a focus on boosting your website traffic might help you most. And if you’ve got the rankings but not the brand recognition, then some user-generated content (UGC) that boosts your Instagram follower count might suit you best. Many businesses use giveaways to simply jump-start their social strategy at the beginning of their journey. Classy Rradical launched an Insta giveaway in September 2017, two months after first opening. It generated almost $200 in revenue as a result — not bad for a two-month old business. Just over a year later, and the brand boasts over 4K followers and is worth $9900 on Exchange Marketplace, a platform that allows you to buy and sell ecommerce stores hassle free. 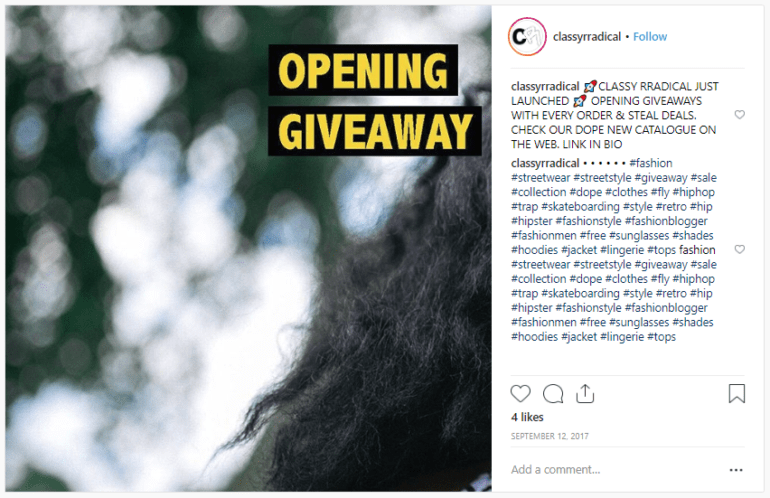 Classy Rradical is evidence that even the smallest of ecommerce businesses can benefit from a simple Instagram giveaway. You’ve got your goal — now you need to build out a giveaway that works towards it. Firstly, pick your prize. For most ecommerce businesses, this will typically be a curated selection of your products. But for brands offering something less aesthetically pleasing, such as marketing software or toilet roll, a more generic gift is suitable — just make sure that it justifies the effort required to take part in your contest. Next, identify how your followers can enter your giveaway. This will directly relate to your goal. For example, if it’s more followers you want, entrants would need to follow your account and tag their friends in a comment. Alternatively, if it’s brand awareness you want, your entrants should share a post on their own feed, tagging your business and using your branded hashtag to participate. Read more on branded hashtags here. Finally, identify the scope of your competition: how long will it last for (two weeks is the optimal time), when does it start, who can apply (US citizens only, for example), and so on. Cascade this information to the rest of your team to ensure visibility throughout your business — failure to stick to the rules could lead to some unhappy customers. After planning, comes your giveaway launch. Create an eye-catching post that concisely explains the rules and prize of your giveaway and cross-promote it across your other social channels. It’s bright, eye-catching (the “WIN” text overlay really grabs you), and features the prizes on offer too. Customers scrolling through their feed will definitely stop at this stunning image, and that’s exactly what you want. Find an image that relates to your giveaway. A cool flatlay of your curated prizes is perfect for grabbing attention on a busy feed, but a generic image related to your brand or contest works just as well. As ever with Instagram, choose only high-quality images for your launch posts. If your post looks like it was made with Microsoft Paint, your giveaway won’t see the engagement levels it needs. As I mentioned earlier, make sure all the legal details and competition nitty-gritty are included in your caption. They should be clear and understandable, leaving no room for doubt in your entrants’ minds. Of course, simply sharing a post on your timeline won’t get you the exposure you need. It’s important that you cross-promote your giveaway across your other social channels, email marketing, website, and beyond. And don’t neglect your Instagram Story either. Create a dynamic video boomerang promoting your giveaway on your Story, using the timer sticker to count down to its launch or deadline. This is a handy hack for generating hype and compelling your followers to enter. But perhaps the most effective means of promoting your giveaway is by using influencers. Reach out to popular social stars within your niche and request they share your giveaway across their own Insta feeds. This gets your competition (and your brand) exposed to a whole new audience that is likely to engage with your business. 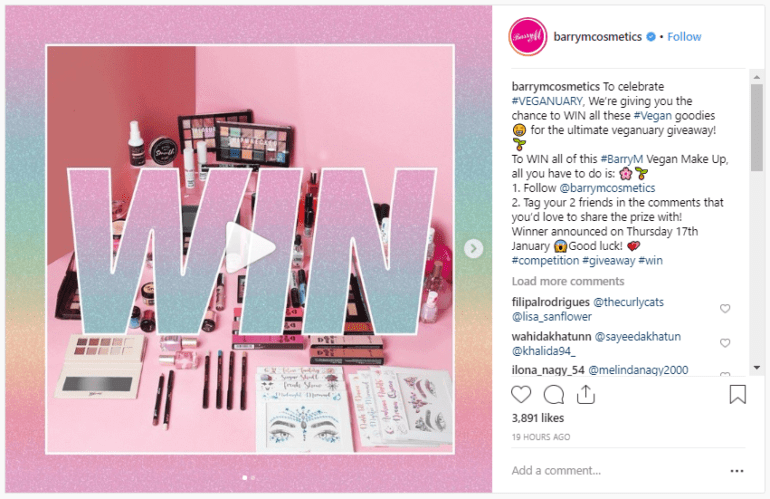 If you do opt for an influencer-led giveaway promotion, be warned: the Federal Trade Commission is very hot on brand-influencer collaborations. 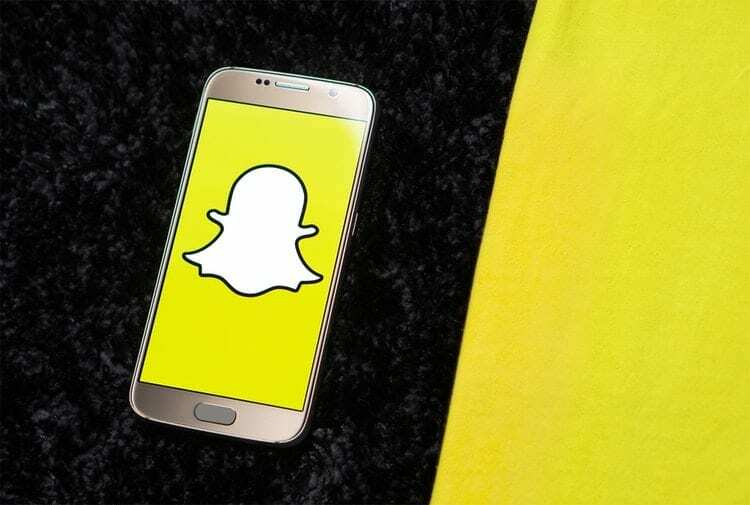 Failure to publicly disclose content as an endorsement will result in a fine, so ensure your influencer makes your partnership clear in their content. Don’t forget to update your caption once the contest has closed to prevent any further applicants. And when your giveaway deadline arrives, don’t delay in announcing the winner. Pick and announce the lucky individual within 24 hours of your contest closing. If you opted for a UGC entrance method, share the winning entry (with the victor’s consent). And once your competition has ended, it’s time to evaluate its efficacy. Website traffic, audience participation, follower count, and so on — these all indicate the success of your giveaway, depending on your original goal. There is a number of tools you can use to determine your giveaway’s efficacy. Tools such as Social Insider or Command provide granular analytics that you can use to measure the success of your giveaway, helping you tweak your next competition for better success. 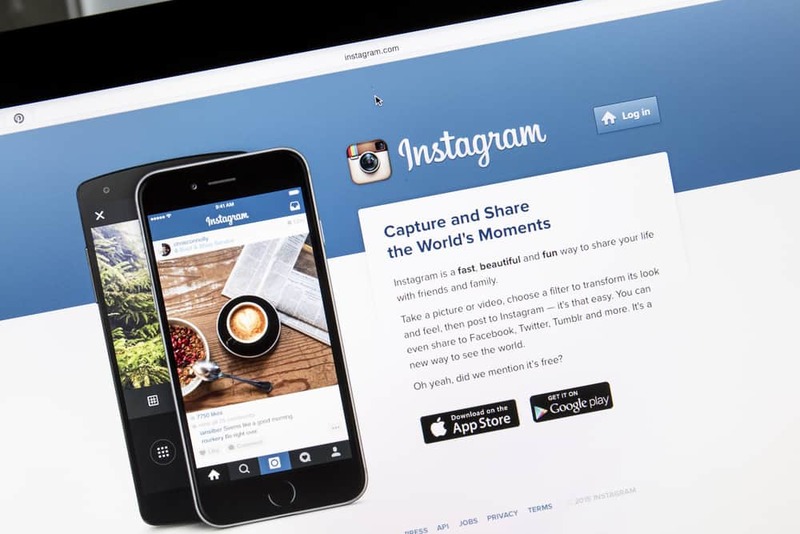 Follow the tips above to create a successful Instagram giveaway today.